Bring some science to the art of wine appreciation. A wine thermometer allows you to ensure your fine quality wines are always served at the optimum temperature. This professional quality wine accessory features an attractive silver plated handle that is perfect for engraving with a venue name or logo. 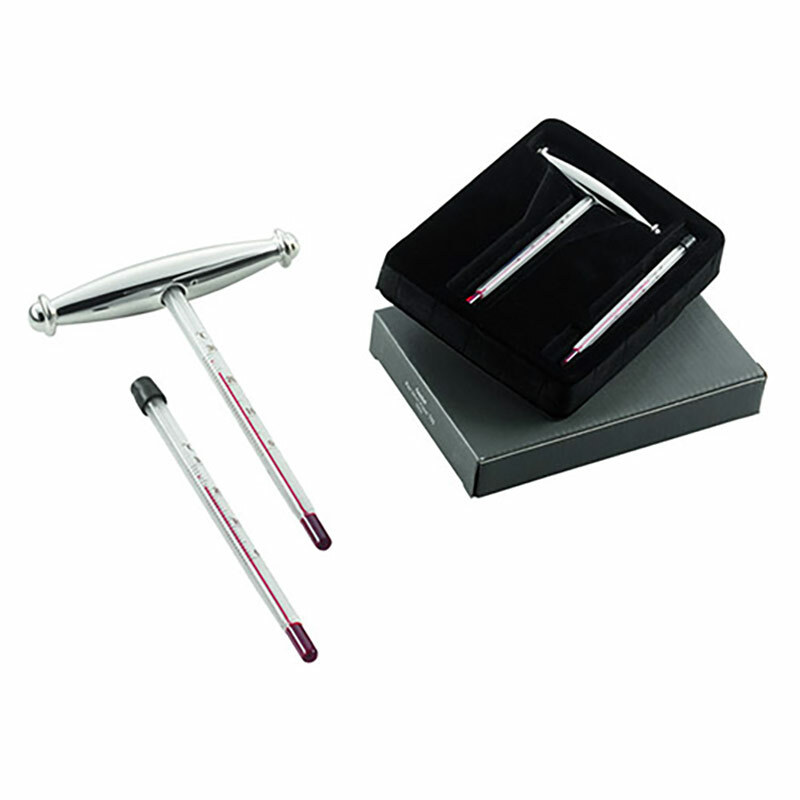 They are offered with free text and logo engraving from Business Gifts Supplier. Supplied in attractive, lined, presentation case.